You are here: Home » News » See you! 2017CISMA! 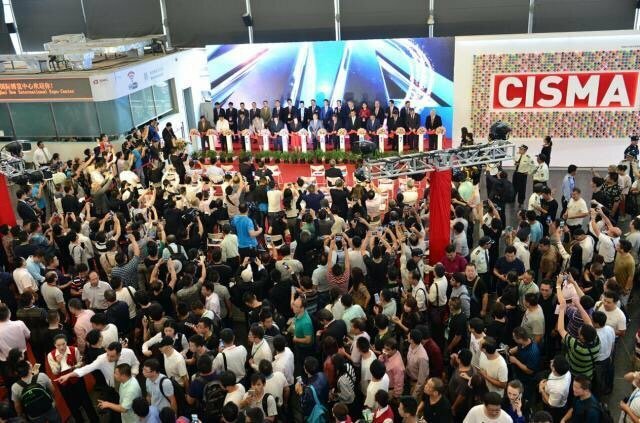 China International Sewing Machinery and Accessory show (2017 CISMA) in Shanghai New International Expo Center have a perfect ending on. Sep. 29, 2017! Zoyer Sewing Machine Co. Ltd. was invited to participate in the exhibition, to show clothing, footwear and other sewing equipment, and also exhibited a combination of artificial intelligence CNC templates machine series, for the sake of building intelligent schemes for the sewing industry, consolidating business relationship. In addition, We explored a large number of potential customers so as to lay the foundation for expanding the market. As the artificial intelligence is surging forward now, grasp the demand is grasp the future. Zoyer Sewing Machine Co.Ltd. will pay more mature, professional attitude for providing professional and efficient intelligent schemes to the sewing industry, and to do our bit to contribute the prosperity development of the sewing industry. Copyright © 2016 Taizhou Zoyer Sewing Machine Co., Ltd. All rights reserved. Supported by Leadong.